October 1, 2015 By Elise 15 Comments This post may contain affiliate links. Please read my disclosure policy for more info. Ooooh, look what I made! Guys, I know I sound like a five year old here, but I haven’t been this excited about making something in a LONG time! See, every time I go to buy vitamins for the kids, we have an ingredient-reading fest. And I’m never happy with the ingredients. Why does sugar, or worse, high-fructose corn syrup have to be so near the top. It’s either that or artificial sweetener. 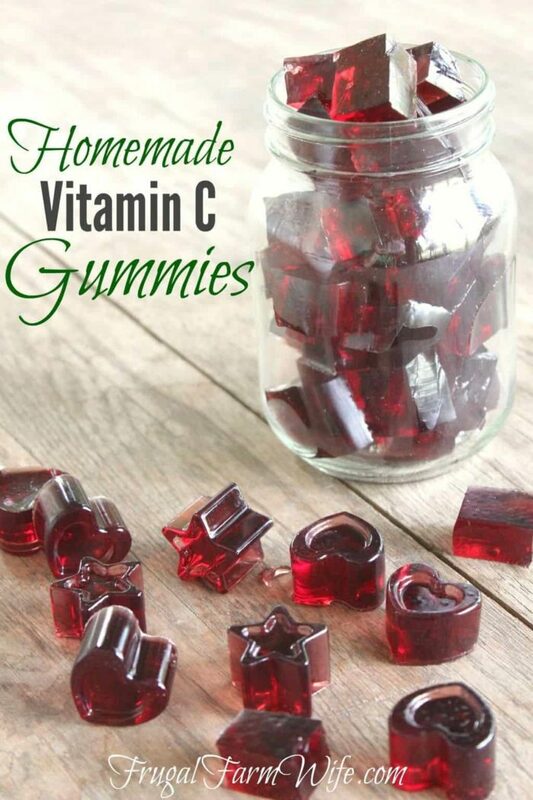 So then I came across this recipe on Pinterest for making your own vitamin C gummies. THAT caught my eye! She used orange juice, which makes sense since it already contains quite a bit of vitamin C, but I never have orange juice around. Plus she added honey, which I didn’t want to do, but since orange juice is a bit tart even without adding vitamin C powder, I didn’t know if I could get away with not adding any. Look, these aren’t candy, and they’re not super sweet. I figure this will help keep my kids from climbing the refrigerator shelves to get to them. Didn’t work. 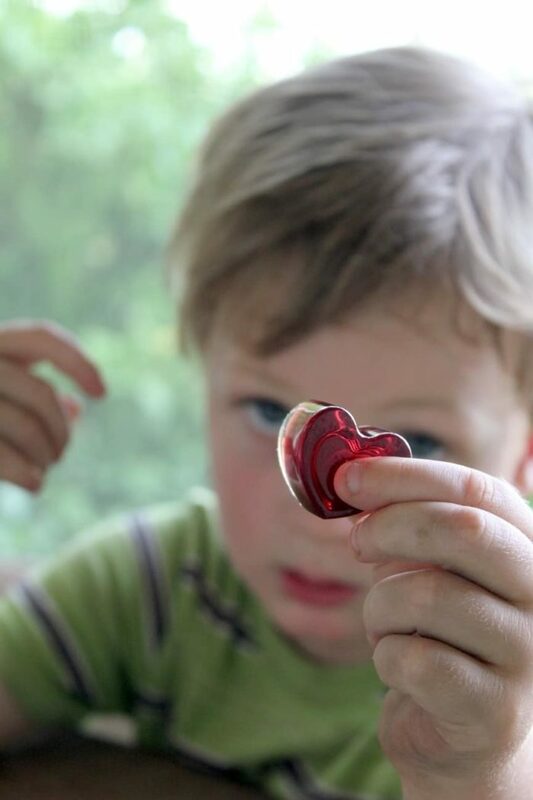 Apparently just the fact that they’re gummies makes them desirable. So yeah, no added sugar = still sweet enough to be tasty. Suite me. More than suites me actually. By my calculations, if you cut these into 60 pieces, each gummie should contain 336 grams of vitamin C NOT including what’s already in the juice you use. Bit of an odd number, but hey, this ain’t no vitamin lab. You can use whatever juice you want to – I used grape because it seemed like the best combination of sweetness and flavor to mask the tartness of the Vitamin C. Apple would work really well too I think. If you do want to use orange juice, add some honey or maple syrup to the mixture, or click through to the afore linked recipe. 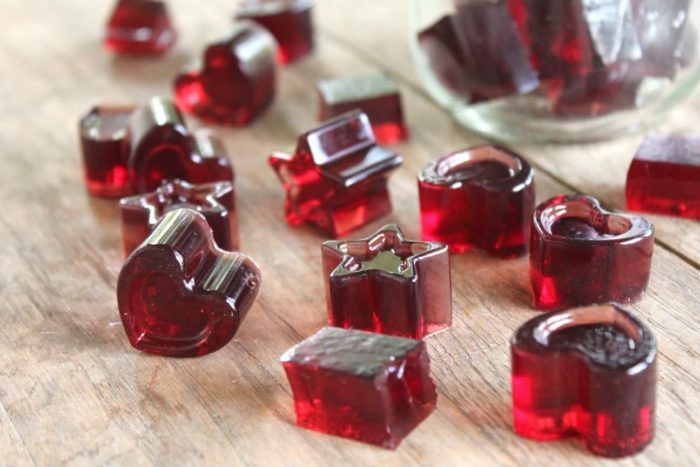 Also, don’t worry about not having cute little silicon molds. 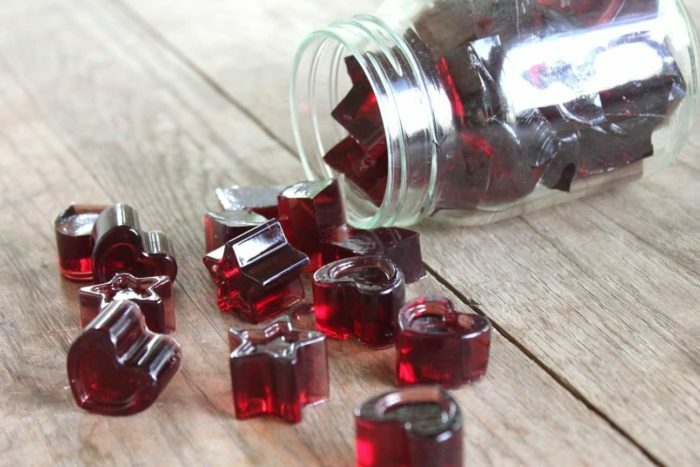 If you chill the gelatin in a loaf pan, pulling it out, and cutting your gummies into squares with a pair of kitchen scissors is easy-peasy! Heat one cup of grape juice until nearly boiling. Add gelatin and stir to dissolve.Add remaining grape juice and give it a stir. Stir in vitamin C powder. Pour into silicon molds, or a single loaf pan.Refrigerate until firm.Remove from molds. 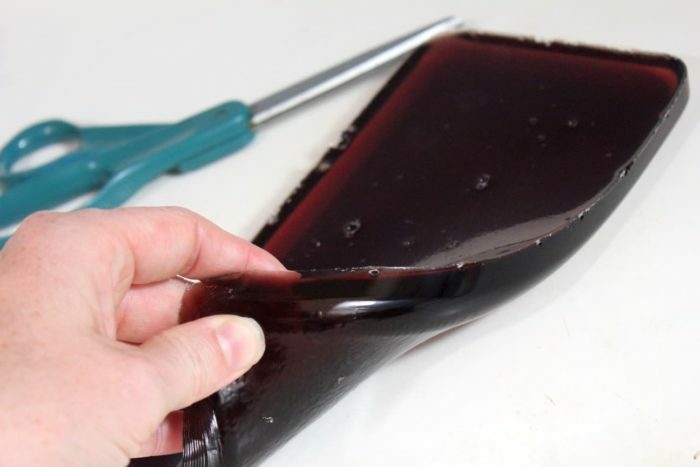 To remove from a glass or metal pan, simply slide a butter knife or spoon along the edge to loosen until you can pick it up with your fingers and pull it out. Use Scissors to cut into squares.Store in the refrigerator. Do you have any idea how long these will last in the refrigerator? I haven’t tested them for over a week.